Each year, Continuing Education (CE) helps thousands of non-traditional students continue their education at the University of Vermont. We offer courses and programs to help students explore their options, whether they are planning a career change, looking for professional development or preparing for an advanced degree. For the second year in a row, U.S. News & World Report ranked UVM one of the nation's Top Up-and-Coming Schools, institutions that "are worth watching because they are making promising and innovative changes," according to the magazine. Kiplinger's Personal Finance placed UVM among the top 100 public colleges and universities for its combination of quality and cost, or value. Learn from accomplished faculty with experience in school settings, technology integration, educational research and state government. The Educational Technology Online Sequence program instructors all hold a doctorate or Ph.D. with years of experience in education, technology, and related fields. University of Vermont uses the Blackboard™ course management platform, allowing you to download course materials, access library resources, submit assignments, interact with students and professors and contribute to ongoing class discussions. UVM online courses are asynchronous; you can log into your classroom environment and access your materials 24-hours a day, seven days a week. You are not required to participate in class at any specific time of day, though you must meet assignment and project deadlines as assigned by the course instructor, as well as take tests and exams at designated times. Take courses online, available at your convenience, flexible for whenever you have the time to attend class. Take courses in any order. Courses are available throughout the year. Make progress toward a Master's in Curriculum and Instruction. After taking the six program courses, four more complete the master's degree. With the master's, you'll achieve more training and better pay — and, in many districts, be eligible for positions as an instructional coordinator, curriculum specialist, curriculum director, or director of instructional material. Gain access to Continuing Education advisors who will help you map your educational plan. Learn from accomplished faculty with experience in school settings, technology integration, educational research and state government. Apply courses to transform your work as a Pre-K - 12 teacher, library media specialist or other school-based position. Switch careers by obtaining an endorsement or certification in technology integration. Build units of study that strategically integrate technology and meet national and state educational standards and assessments. Financial aid is available to Continuing Education students participating in a sequence program with the intent to pursue a UVM graduate degree. A student must be enrolled in at least 6 credits per semester to be eligible to receive aid. 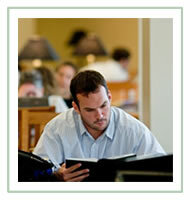 Students who have previously received financial aid for non-degree coursework are ineligible. Applicants are encouraged to submit the Free Application for Federal Student Aid (FAFSA). The school code is 003696. 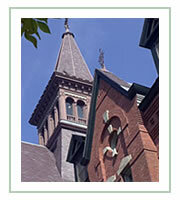 University of Vermont is accredited by the New England Association of Schools and Colleges (209 Burlington Road, Bedford, MA 01730; (781) 271-0022; www.neasc.org). Teacher education programs at the University of Vermont also hold the distinction of meeting the national standards set forth by NCATE (National Council for the Accreditation of Teacher Education) and are therefore NCATE accredited. Format is online using state of the art delivery. Blackboard platform is used. Must have access to the Internet, understand file and folder organization, the ability to upload document files and graphics, and a basic understanding of how to use a word processor. An advisor will contact the student to assist with application and registration details. My favorite part about UVM is that it provides a community. No matter who you are, there is a place for you here. 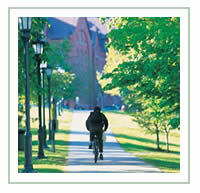 UVM welcomes all, with embracing arms.